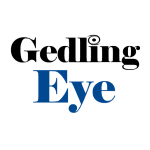 Gedling Borough Council has today announced plans to freeze council tax and also invest in tackling knife crime, anti-social behaviour, fly tipping, dog fouling and street cleanliness across the area. Leader of the council, Cllr. John Clarke and his Cabinet will recommend the plans – which include the council tax freeze- at a Full Council meeting on March 4. If the plans are given the go ahead, then a typical household in the borough will continue to pay council tax of £2.42 per week. The council today also revealed the budget includes plans for investment in frontline services, including the introduction of a new Rapid Response Cleaning Team to further strengthen efforts to deal with litter, dog fouling and fly tipping as well as plans to employ an additional Neighbourhood Warden to help tackle knife crime and anti-social behaviour in the borough. Improvements are also planned at Redhill Leisure Centre with a £70,000 investment in new gym equipment. Free two hour car parking at all council owned car parks will also continue and there will be a substantial car park extension provided at the popular Gedling Country Park. A £10,000 budget will be set aside to help the council continue to be a plastic clever council. The money will be invested in new public water fountains to go alongside the recently installed ones at Gedling Country Park and Arnot Hill Park. The 2019/20 budget will contain plans to deliver £2.6m of efficiency savings over the next four years. These savings are expected to come from improved use of digital technology for services, management review and a reduction in corporate costs. In terms of Government defined ‘spending power’ Gedling Borough Council is now the 2nd worst affected Council in the country. Gedling Borough Council has received a 66% cut in its core funding as a result of cuts from central Government since 2010. Cllr John Clarke, Leader of Gedling Borough Council said: “This budget will help residents by freezing the amount of council tax they pay to Gedling Borough Council as well as improving the services that matter most to them. “This ambitious budget will see investment to reduce crime, anti-social behaviour and dog fouling, bring forward the plans to revitalise our town centres and step up efforts prevent knife crime. Where do you get £2.42 a week for an average council tax. What a load of twaddle. Denise: That’s only the part which goes to GBC; the largest proportion of our bills goes to Nottinghamshire County Council plus additional amounts to the police and fire services. I dare say that those authorities will be increasing their parts of our Council Tax by about 5% (or more? ), so overall, our bills after 1 April 2019 will be increasing. We would like the clean up campaign to have a close look at Netherfield, particularly the grass growing around the pavements near the Bank public house, also the litter tipped in the walk through upto Netherfield station, and Ashfield Street, we reside in Colwick and am pleased to say we have a Litter picker, from our parish council so we are quite tidy, Thanking you.